The news that Californian singer, songwriter and worship leader Evan Wickham raised through Kickstarter the $30,000 needed to record and release a new album will be welcomed by numerous worshippers. 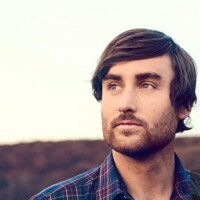 Over the years Wickham has made some of the most powerful and memorable songs and recordings in the whole modern worship spectrum and though his popularity hasn't quite reached the levels of his younger brother Phil Wickham, Evan's reputation continues to grow. Commenting on one of his earlier releases, the lead singer with MercyMe Bart Millard said, "Evan Wickham has created one of the best worship albums I have heard in years. He truly has a gift for leading people to the throne." At last year's Creation Fest in Cornwall Evan spoke about his life and music. Said Evan, "My dad and mom were a product of the Jesus Movement of the late '60s, early '70s. They met in those bands that sprouted out of the move of the Spirit that took form there in southern California - fell in love in a band call Parable and the rest is history. My wife Sandy and I share a similar testimony, although we have different stories. We both grew up with incredibly Godly parents in fantastic churches that taught the Word of God, and the worship of God was expressed in spirit and in truth - God's grace hedging us in on all sides, protecting us from without, showering us with love and blessings from within. It was an issue of me taking it for granted a lot as a child: I assumed I was OK with God by pedigree. I assumed I was OK with God based on where I was environmentally. My church was also my private Christian school and also my karate class and my basketball camp and my cub scouts. Everything I knew was on that campus. It took a dramatic work of God to expose me to my own need for grace. Because the world around me was so ideal, it took the Lord exposing me to my inherent wickedness later on in life, about 13 or 14 years old. Before then, I compared myself to the other people that are bad, and I felt like I was good. It took Jesus awakening me at a youth camp and revealing to me that I am in just as much need of grace as terrorists. The worst of us is all of us. For me, that realisation drove me to the cross at about 13." Shortly after his conversion Evan felt a call by God to serve him in full time ministry. "I knew that I was called to be in ministry in a greater sense when I was about 13 or 14 years old. I was at a camp and the preacher got really specific. He said, 'I know there are some young men out there sensing the Holy Spirit calling them not just to become Christians, not just to go to church regularly - but there are some specific people out there, and you know who you are, who God is calling into the full service of his kingdom with all of their lives.' My heart was beating out of my chest, although I didn't have the courage to respond until my buddy, who was also called, grabbed me by my collar and dragged me up to the pastor. He's now a missionary, he's planted churches in Hungary. But music came later in high school. I had taken classical piano lessons several years, and I did a little bit of piano with my dad's praise band, but taking ownership of music ministry for myself, crafting songs for the Church - being a worship songwriter - that didn't happen till I was out of high school, 18, 19." Evan's brother, who was 15 or 16 at the time, had just written his first worship song, "Jesus, Lord Of Heaven". Remembered Evan, "He wrote that while simultaneously learning how to play guitar. He always had a knack for melody, and I thought his singing was rough to say the least, at age 13, but it took him maybe 18 months to find his voice and to confidently create songs. That takes musicians a decade - two decades - but he was creating songs that he felt confident introducing to his youth group within 18 months of learning his instrument." In 2005 Evan released his first album, 'Mysterious Things'. A song on the project, "Hallelujah Jesus" gained major popularity throughout the Calvary Chapel stream of churches and beyond. Evan said ruefully, "That is the song that the Lord has moved through the Church most - caused it to sprout wings. I'm humbled by what God chooses to do through that tune. The next record was a whopping four years later, 2009." That album was 'Above The Sky', produced by studio wizard Peter Kipley (the same man responsible for Phil Wickham's albums). Two years after that Evan released his self-produced holiday album 'Christmas Music Volume 1'. Evan responded to one of the criticisms levelled at the modern worship movement that it is sometimes theologically light and sometimes gets perilously close to statements like "God wants me as a boy/girlfriend". Said Evan, "On one hand, God did give us emotion, and to respond emotionally to the saving work of Christ is indicative of a true relationship with Christ. However, if it's all emotion and no theological basis - no orthodox truth - then it's anybody's ball-game at that point. I do think that these expressions we call worship songs need to have a clear grounding in Scripture. Scriptural truth can seem a little like cliché. But it's also timeless, and the crux of all that we rely on. For the songwriter who feels compelled to be unique and wax poetic, they may say 'The Blood of Christ has redeemed my soul' in a different way by painting it rather than saying it. I love that too. I just think a clear lyric is important for congregational worship." Today things are very crowded for the singer/songwriter. His wife recently gave birth to his first daughter to go with the three sons they already have. And he is immersed in the workings of the Church. He wrote on his Kickstarter page, "I absolutely love the Church. I believe I am called to serve her as best I know how. Which is why, as a worship leader within the church [Evan is currently a worship pastor at Horizon Christian Fellowship in San Diego, California], my heart is heavy. We can offer up songs all day long, but if we have anything against our brother or sister, then our words of praise are only empty phrases (Matt 5:23-24). Jesus prayed in John 17, 'that they might become perfectly one, so that the world may know that you sent me and loved them even as you loved me'." Evan's new album will probably be called 'Make Us One' and will be produced by bassist for Fiction Family, Tyler Chester (Brooke Fraser, Nikka Costa). Featuring as it does co-writes with Aaron Keyes, Michael Gungor and Bryan Brown, it is, in Evan's words, "shaping up to be my best record thus far. I've never been more pumped about a batch of songs!" I believe Evan Wickham is anointed by God. I love where his heart lies. He is setting a great example for other worship leaders. I cannot wait to listen to his new album. The Evan Anthem offer new album 'Sens'. New Frontiers event spawns live worship album.